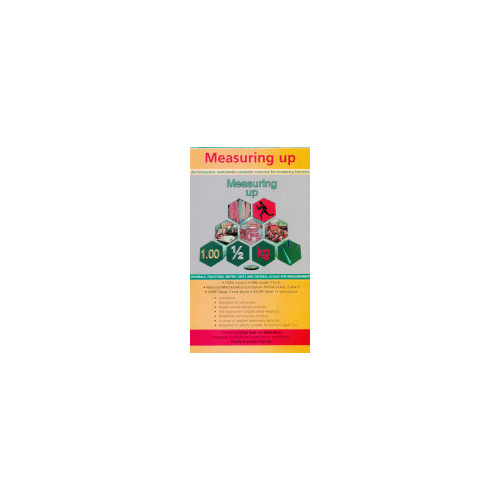 Measuring Up is an interactive multimedia resource for secondary students and adult numeracy learners. It successfully integrates the learning of skills and concepts with concrete and real life situations. Numeracy learners will develop basic numeracy skills for measurement in the areas of fractions, decimals, reading scales, and metric units.